Disclaimer:  I received a copy of this in exchange for an honest review. This post contains affiliate links at no extra charge to you; thank you for your support! I have been homeschooling, for real, for about 4 years. In that time, I’ve added a third little one, been dealt with health issues and added a second student to the mix. And I FINALLY feel like we have a system that works for all of us. You know, until the third gets added in. Looking at the school books that are well over half completed starts prompting me to consider the next school year. And I’m tired of wasting money on pie in the sky dreams and buying (lovely, worthwhile) curriculum that I never get to doing. So I contacted Pam to see if I could review Plan Your Year. I’ve been reading a lot about classical & Charlotte Mason education and I want to be able to provide a classical education with a Charlotte Mason flair. I’ve been using Memoria Press as the basis for planning our curriculum and third grade is where work kind of jumps. So at the same time her work level jumps, I am teaching reading to her sister and trying to keep the little man involved, who will be 3. This year, we’ve done a great job of learning together and it being peaceful-ish. And I don’t want to screw that up. Enter Pam Barnhill’s Plan Your Year. I’ve used/read of planning methods including the giant course from Simply Charlotte Mason and those never helped me teach from a place of rest, enjoyment & beauty. But I really feel like we are in for another fabulous year after using Plan Your Year. 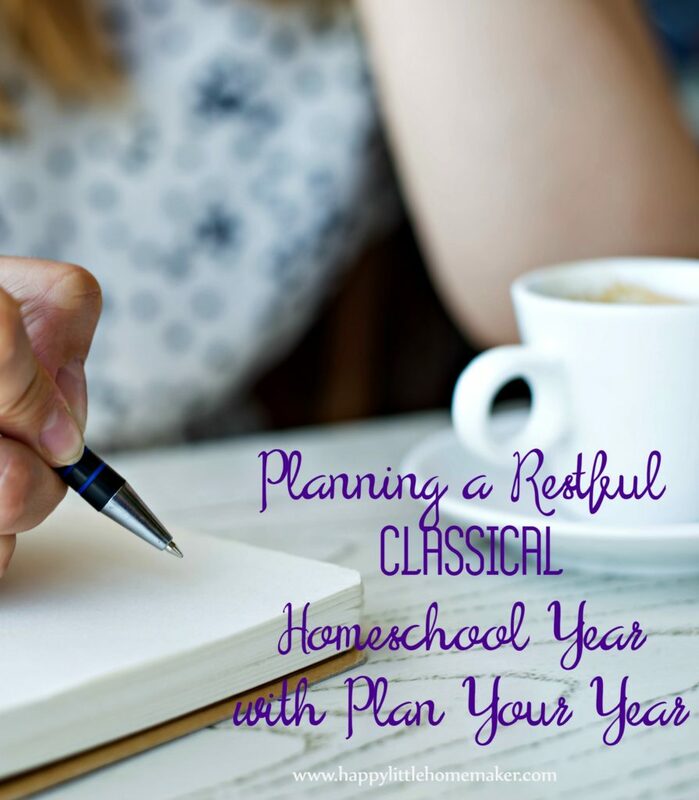 Plan Your Year:Homeschool Planning for Purpose & Peace really does just that. 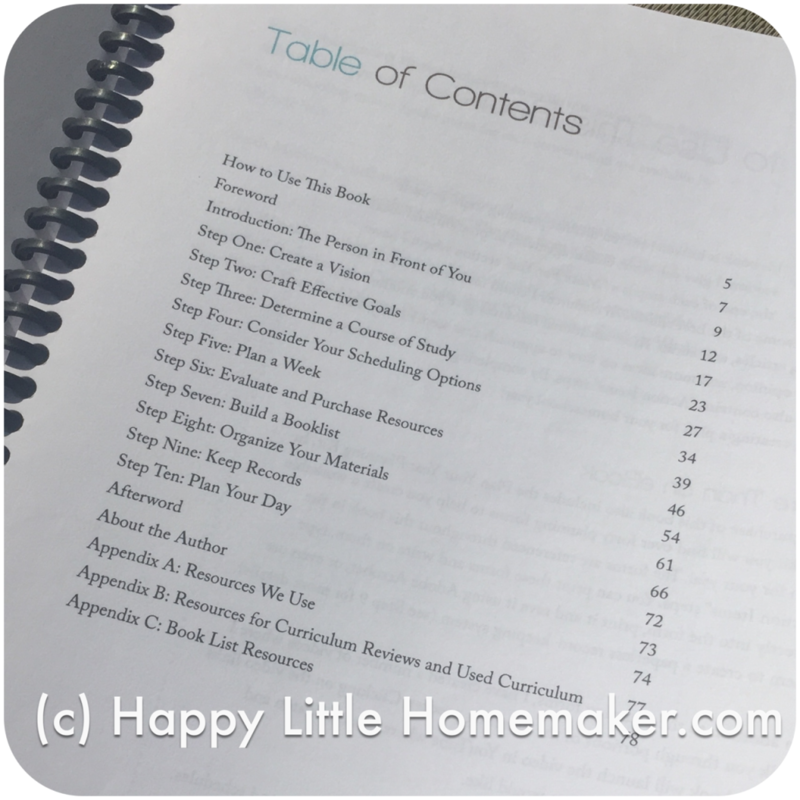 The kit consists of an e-book, 40+ planning forms, and two audio bonuses. In order to work on my year, I printed everything and bound it with my ProClick. In the beginning she has you create a vision. Since learning more about education, as well as myself & my children, I really haven’t done this and I found it really useful in future sections. Each section (there are 10) is super short, making it easy for even a busy mama to work through. At the end of each chapter are 1 or more links to useful, related blog articles or audio talks as well as several action items to put the Information to use. 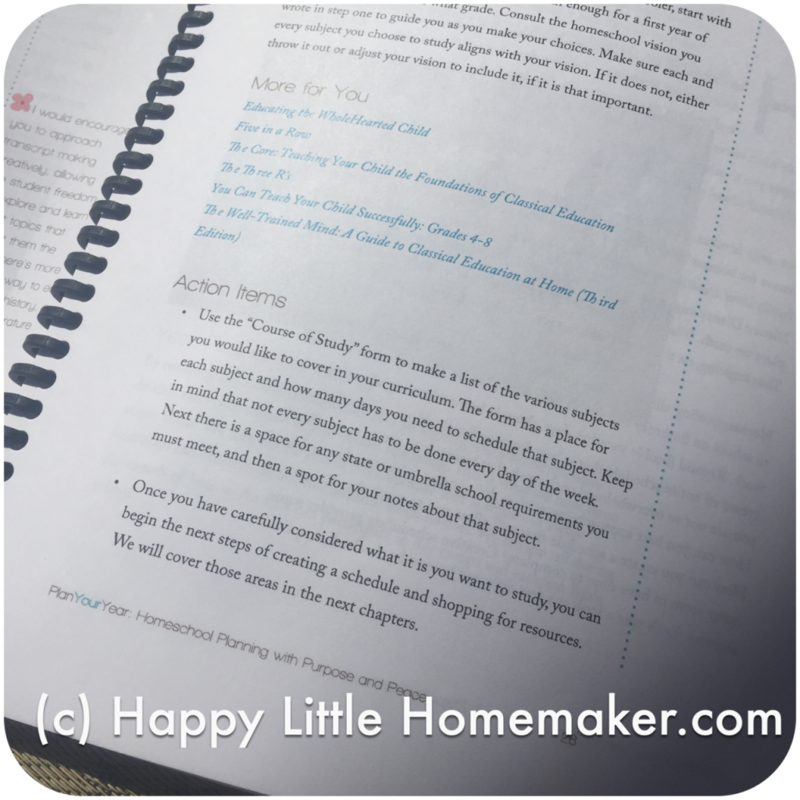 The section section walks you through goal setting. Excellent, student-centered goal setting, not “I want my daughter to finish the Latin I workbook by year’s end.” when she can barely read or spell. The next section was REALLY helpful for me–Determine a course of study. I generally start with the Memoria Press recommendations and adjust from there. This year, I wanted to use MP for all three kiddos because the preschool (3 year old) program would give the Little Man a bit of appropriate participation. This paragraph (and the vision) was instrumental in helping me discern what pieces to use & how to use it before I got carried away with all. the. things. This was helpful because trying to do every subject for all 3 levels of Memoria Press would require WAY too much. Of everyone! And that doesn’t even take into account the fact that I want to use things that aren’t in the MP plans. You can see the potential problem here, right? What is the purpose of this piece/subject of curriculum? Do I need to use it their way, or will another way work better for us (workbook vs. narration)? Do I already have something that will work better for our lifestyle/learning/teaching styles, but accomplish the same goal? Is this need met with something else we are doing? I feel really good about what we are doing this year. I think that it won’t feel like much more work, we are getting everything I feel is important, and everyone is getting a bit of me, including the Little Man 3. Pam’s forms for morning time, course of study, student schedule and others were a fantastic help in helping me determine our subjects and workloads. Step 4 was scheduling options but we already have a system that works fabulously for us. We school year-round, doing 6 weeks with a week off all year except July. In July, they do 5 minutes a day of whatever they need to practice. It’s helpful to see the different options, though. 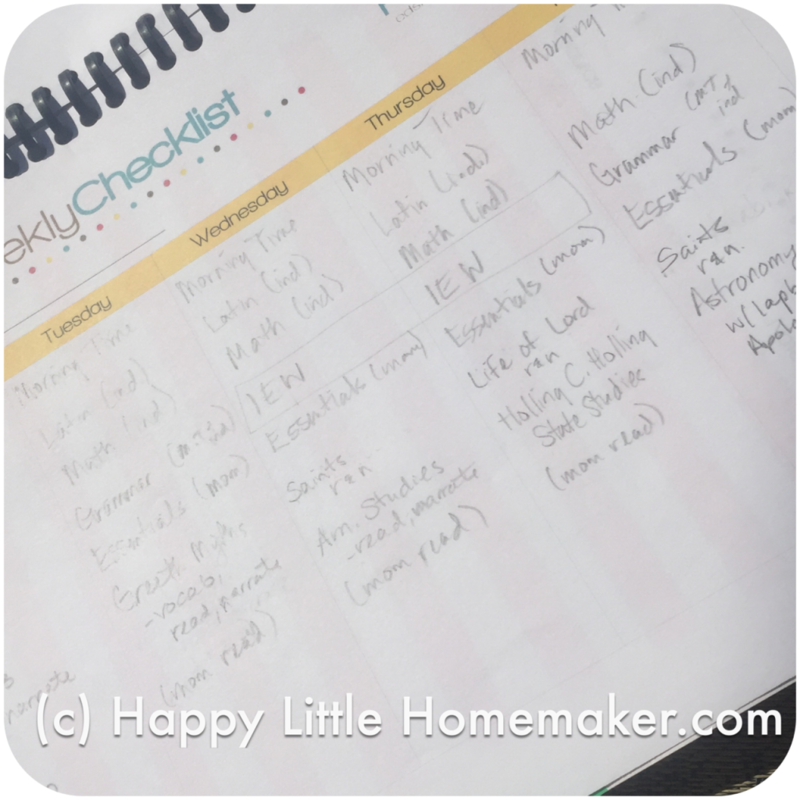 She also talks about block scheduling, terms and loop scheduling which are all super helpful for scheduling restful homeschool DAYS. 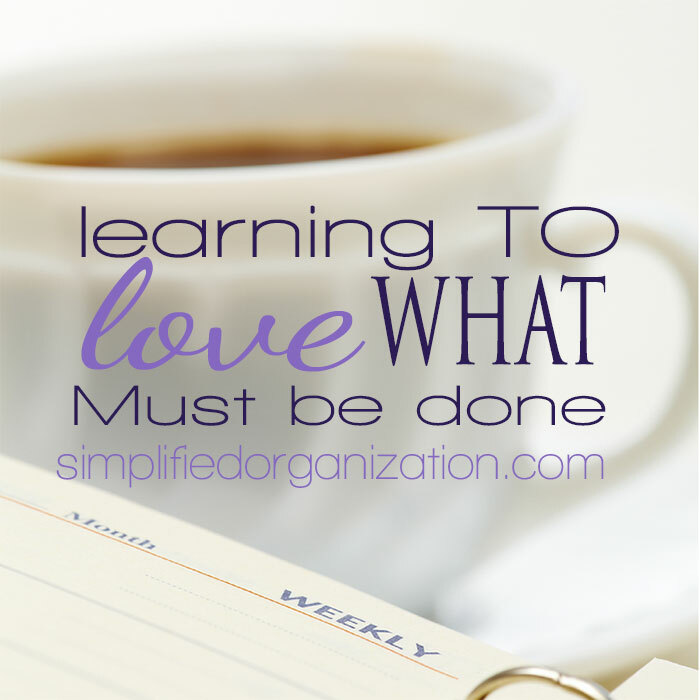 The next step was another key step that I had skipped in previous years — Plan a week. Traditionally, I have not been a planner. 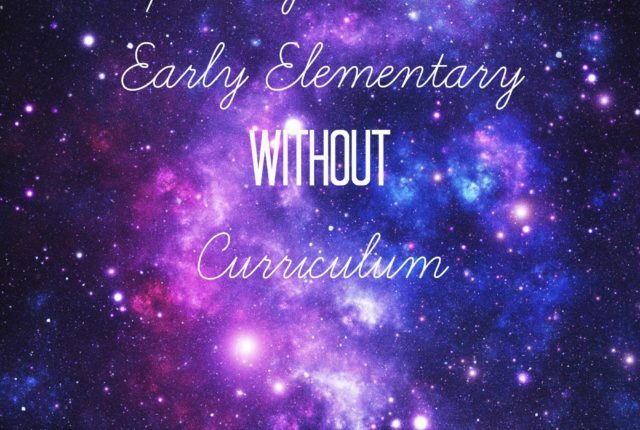 I picked a curriculum, counted the lessons, divided by school days and worked through the approximate required pages each day, in each subject. Except now I have 3 kids and we do several things together. And one of them has more this year. And there is more teacher intensive stuff spread out amongst them all. 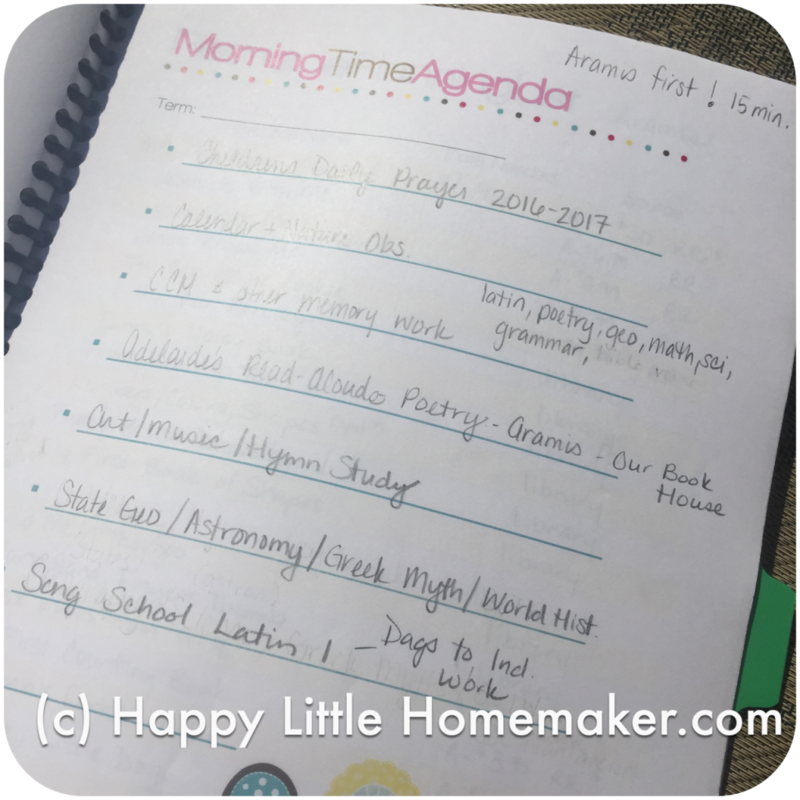 Then I was stuck, eagerly awaiting the arrival of my new Erin Condren teacher planner (new this year–I’ve used the HEDUA planner for the last 4 years). Once it arrived (so pretty!!! ), I planned our summer ramp up (in pencil) and our first two honest-to-goodness full load weeks to gauge how full it looked on paper as compared to this year. I also scheduled certain subjects for morning time so that everyone could benefit from them. This step allowed me to see that one subject needed to be pulled as it stood. Rather than doing the MP literature with all the workbook pages, discussion & such, I’m simply going to have her read them. Four books chosen by me out of the 100’s she reads won’t kill her :). What I’m working on…trying to decide if it’s too much. Once you have thought about your school year, it is time to evaluate and purchase your curriculum. I haven’t done this yet, though I did purchase all the plan books and teacher materials so that I could outline the MP plans for 3, 1 & PreK. By going through and figuring out what work I wanted (Step 3) what was PRACTICAL (step 4) and further scheduling it (step 5), I have a feeling that I will buy less curriculum that won’t be used this year. And I buy a lot of awesome stuff that we just never get to. Over the years, I have learned that I hate hands on projects so I don’t need to buy the activity book for SOTW for example. I’ve also learned that they DO like audiobooks & memory work on CD so I should by those. And they like to learn via songs so Song School Spanish/Latin work well for us and don’t feel like work, but the Principal is happy that languages are in the plan. Building a book list, the next step, was made easier because MP provides many, many book recommendations. 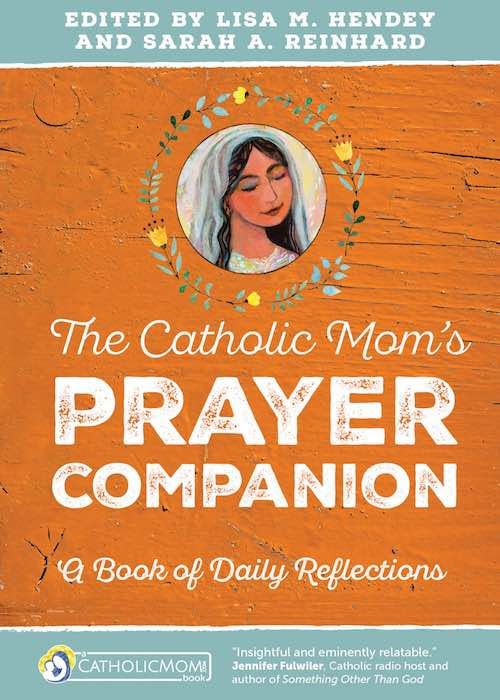 I do like to add some living books for science & math, religious books from Mater Amabilis, and some other morning time reading, so I still needed to do this. Once that was complete, she addressed the area of storage and this year I did something unusual–I have a single tote for all the materials for next school year so when the school year starts I can–are you ready for this–FIND IT. Tell me I’m not the only one who loses whole subjects before the start of the school year. 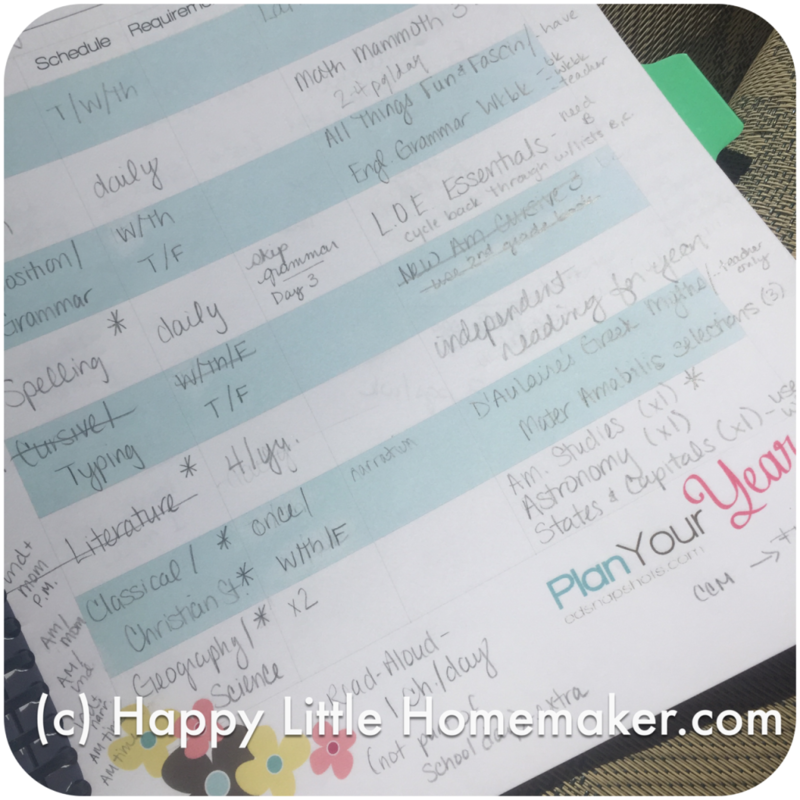 In the last section of Plan Your Year, Pam addresses record keeping and planning your homeschool day. 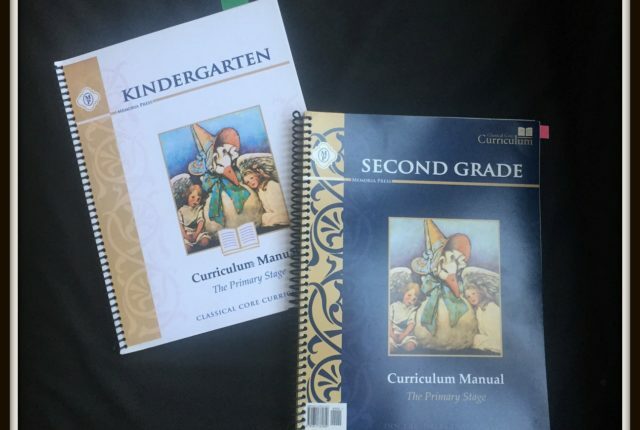 I am on year 4 or 5 of for real homeschooling and this is the first year that I have found such a simple yet comprehensive system. No one piece of it is mind-blowing, but it is comprehensive AND short, with lots of practical tips and plenty of resources for further reading. Plus, there are several action steps for each. After using Plan Your Year, I feel really at peace. It feels like I have picked to right curriculum for my children AND me. It also feels like the right amount of work. I think I will spend more wisely and that we will enjoy our work this year. I’ve never felt that way before. I’m really glad that I bound Plan Your Year because I will be using it every year, along with Teaching From Rest. They will be my homeschool planning tag team. 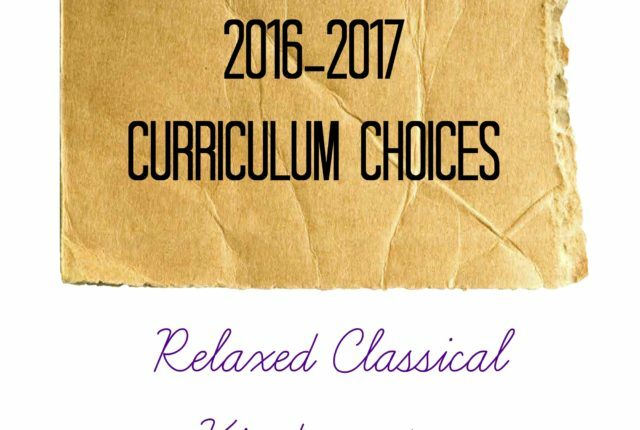 If you are wondering how to juggle all your subjects, ages & curriculum, I highly recommend Plan Your Year. Especially if, like me, you want all. the. books. or bite off more than you can chew :). How much time do you spend planning your school year?